Fisher Shipping has been working with private customers, auto dealerships, and fleet management companies since 2006. 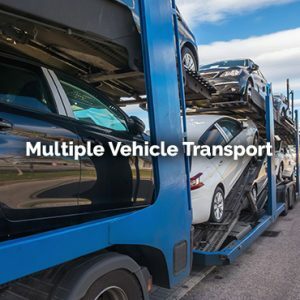 Multiple vehicle transport is one of the things we excel at. If you’re ready to move, give us a call at 1 (888) 886-3456. If not, read on to learn more about our multiple vehicle transport services. Shipping more than one vehicle at a time will not only lower the price, but it will often speed up the time between pickup and delivery. A good portion of a driver’s time is spent loading and unloading vehicles. If there are less stops, the cars will arrive a little quicker. FISHER SHIPPING services ALL auto auctions, including Adesa and Manheim. Our cross-country rates are reasonable and vehicle safety is insured. At FISHER SHIPPING we’re proud of our superior record of on-time deliveries. We NEVER promise more than we can deliver, and we strive to deliver the BEST SERVICE in this increasingly competitive industry. Got wheels? We can get them where they need to go!